CELEBRATING 35 YEARS… From left, Shepparton Foot Clinic office manager, Erin David, podiatrists, Rebecca Kennedy, Tracey O’Rourke, Erin Matthews, owner and principal podiatrist, John Head and podiatrist, James Howard. Photo: Will Adams. 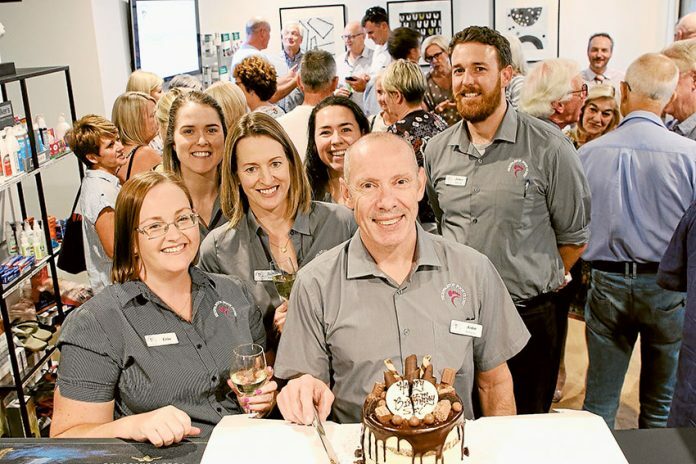 A SPECIAL event was held last week with 45 people coming together to celebrate Shepparton Foot Clinic’s 35th birthday. Owner and principal podiatrist, John Head said, “We’ve seen some changes over the years. “When we started, we were two out of four podiatrists in the region, and we now have seven in our clinic alone.